All the studs starring in UFC 197 will hit the podium today inside MGM Grand Garden Arena in Las Vegas, Nevada. Stream the press conference live right here on 5thRound.com starting at 2PM ET/11AM PT. 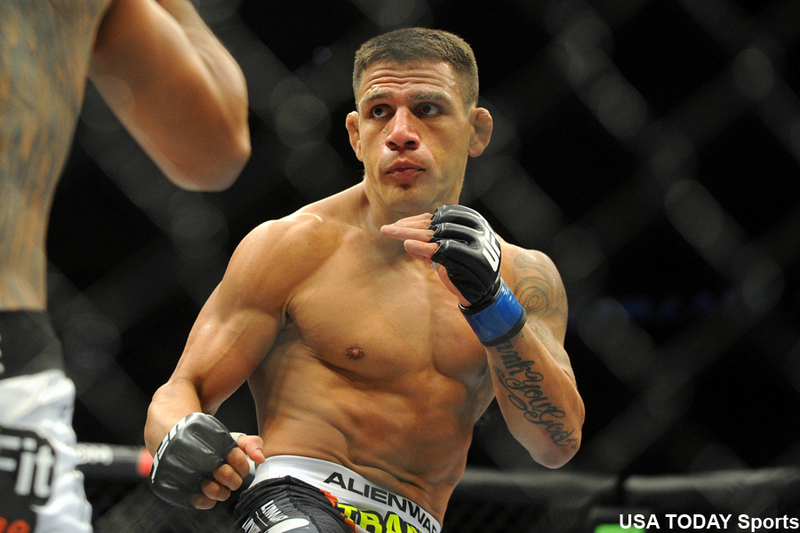 Lightweight champoin Rafael Dos Anjos (pictured) will defend his crown against featherweight champ Conor McGregor in the show’s featured attraction. If victorious, McGregor will become the first two-way champ in UFC history. Women’s bantamweight title holder Holly Holm puts her belt up for grabs against Miesha Tate in the co-main event. All four will join UFC president Dana White on stage. MGM Grand Garden Arena in Las Vegas hosts the March 5 extravaganza.